Bio Skin's Q Brace provides complete patella control in every direction. Easy to apply T strap design controls patella-tracking. The Bio Skin Q Brace Front Closure Knee Brace provides multidirectional patella control in a front closure model designed for ease of use. 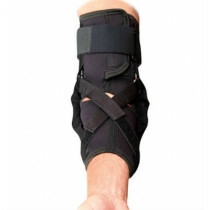 It features a T strap that allows multiple patella tracking options and precise control of the kneecap to relieve pain. The ends of the strap attach to the medial (inner) side of the brace giving the desired medial pull. The Q Brace encourages normal patellar tracking for patients with chondromalacia, patellofemoral pain, or following a lateral release surgery. 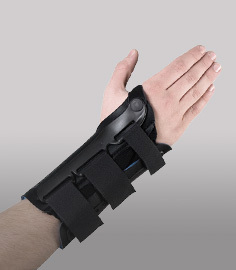 The Bio Skin Q Brace Front Closure is made out of the revolutionary BioSkin material which is latex and neoprene free while providing the same strength and durability, in an anterior closure model. It's easier to fit than a traditional pull-up style brace that requires slipping it over your foot and pulling it up into place. It allows heat and perspiration to escape easily allowing you to stay cool and dry in hot environments. This model is made from Ultima 2sL which has a soft, anti-microbial micro-fleece that quickly wicks perspiration away from the skin. Adjusts to a variety of precise tracking directions. Unique T strap provides dynamic patella stabilization to enhance tracking. Easy front closure application; adjusts for hard to fit legs. Provides multiple directional tracking options. Universal; Fits left or right. Constructed of Ultima 2sL material. Hypo-allergenic, latex free, neoprene free. BioSkin is a unique, patented material designed to provide high-level compression without creating any discomfort. 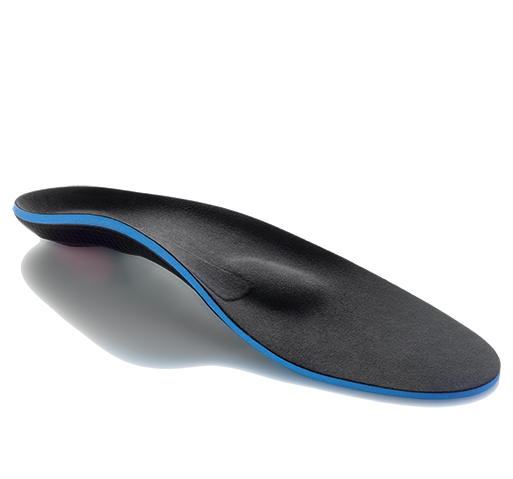 The material is thin and gives radial compression, so it conforms nicely to the curves of the body. Its breathable, allowing perspiration to evaporate through it, and its neoprene free, latex free, and hypo-allergenic so you don't have to worry about skin reactions. Wearing the Bio Skin Q Brace Front Closure is a satisfying experience because it is breathable, light, thin, strong, odorless, and extremely durable. I have large size thighs and a short build. I talked with customer service and they suggested this model for me. It fits perfectly. I'm very satisfied! Adjustable and comfortable. Stays in place. Can't play golf without it. Review by Carl B.
I'm 76 years old and have arthritis and an old kneecap injury from 20 years ago. I bought this as a replacement for my Q Brace Front closure one which lasted 5 years. The material is thin and doesn't make my knee sweat like other neoprene brace. The buttress design is adjustable so that I can place the pressure just how my kneecap needs so that it tracks correctly. Using it for work and hiking. My friend recommended this Q brace for my knee. I have tendonitis and chondromalacia in both knees so I bought two. Recommended. Helps my knee pain Review by Nate D.
The t-strap is helping my kneecap stay in the groove and my pain has improved 70% over the last three weeks. Very happy with this brace.